Arsenal’s fan base is burgeoning. Season ticket waiting lists are long. Membership numbers are high. The worldwide representation of Gooners amongst social media has never been in ruder health. Our club – as a business – is thriving. What exactly is attracting these young fans to our club? If they wanted glory, then surely the club down the Kings Road in blue would fit the bill? Also, our young talents at the club are struggling to break through. These fresh faced imports from across the globe are brought in and we then wait in vain for them to break through the embryotic sac to the first team in a blaze of glory – to be heralded the ‘ Next Big Thing ‘. Plain and simply – we have waited a long time for a youth prospect to really fly the flag for our investment in our youth teams. Well, I thought I’d dig a little. 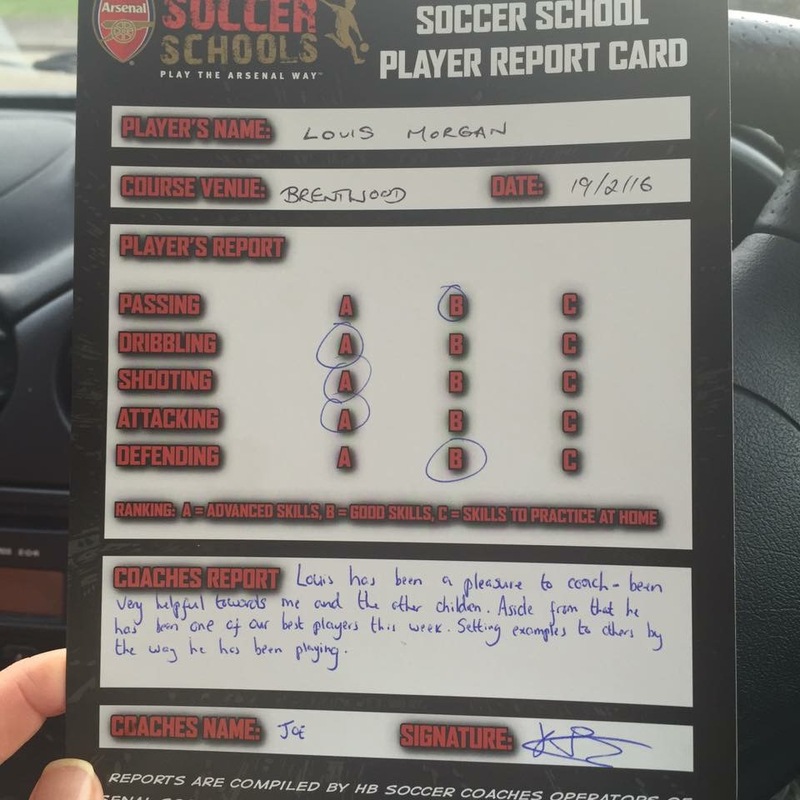 A friend of mine had sent her ten year old son to an Arsenal-affiliated Soccer School. An intensive five day course designed to hone the talents of enthusiastic kids who wanted nothing more than to emulate their heroes. A training kit ( Arsenal of course ) is supplied and the youths have a fantastic time and the club get to run the rule over any potential starlets that may be unearthed. A win-win. 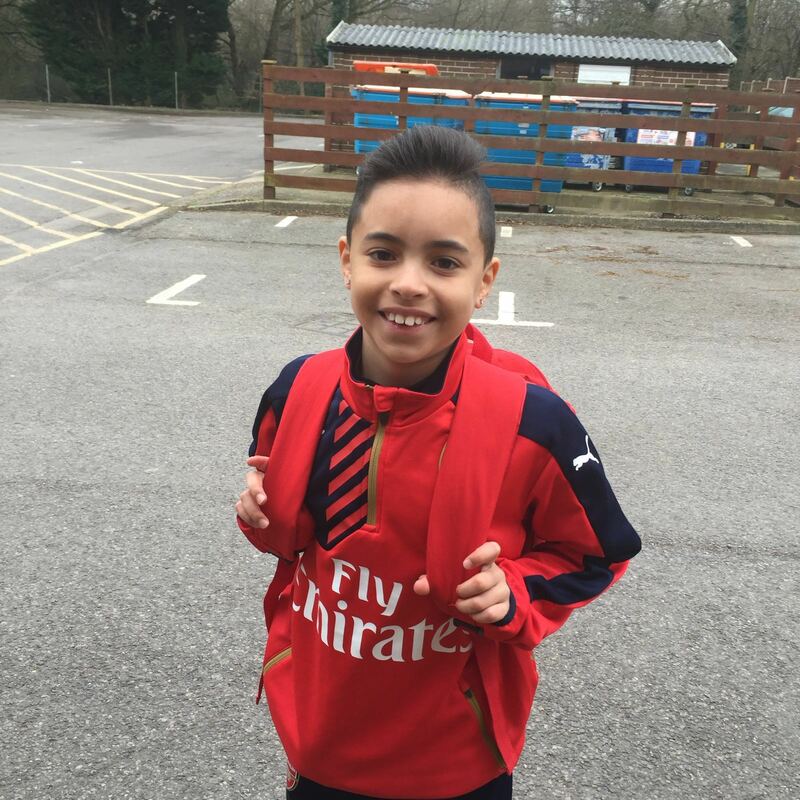 Well, my friend’s son – ten year old Louis Morgan – was more than happy to share his experiences and to also explain how new Arsenal fans are recruited. Q – When did you start supporting Arsenal? Louis – My mum and my Uncle’s told me to! From when I was a baby! Q – Why did you choose Arsenal though? Why not West Ham which some of your friends support? Louis – No, Arsenal’s style of play is better. I like the way they play. Q – Who are your favourite players? Louis – Thierry Henry, Tony Adams and I remember a little bit about Freddie Ljungberg. Q – What is your favourite memory or match? Q – What do you think makes Arsenal the better team? Louis – the way they play is different, the way they pass and keep possession. Q – What do you know about Arsenal’s history? Q – How is the Arsenal Soccer School? Louis – I’d give it five out of five! I went to a Chelsea Soccer School once and we didn’t do as much skills training and it was quite boring! This school we concentrate on skills and shooting, passing. The days at the school are named after the players, like Ozil Day is passing and Welbeck Day is shooting. I have a friend that was at the Chelsea soccer school and he left because it wasn’t as good! Q – How often do you spend time playing football in a day? Louis – Every day, even indoors! ( it is at this moment that my friend and Louis’s mother interjects with a raised eyebrow and informs me that he has a soft football for indoors so he doesn’t break anything else! ) I play for local teams and for the school. Q – If you had a choice that Arsenal could win either the Premier League, the FA Cup or the Champions League, what would you go for? Louis – The Champions League as it has the best teams in it. Q – If there was one thing you could change about Arsenal, what would it be? Louis – I’d make the VIP tickets free for fans! Q – You are in the youth team at Arsenal, and you’ve been told that as long as you keep working hard that you will get your chance in the first team, but West Ham, Chelsea and Barcelona come in and offer you loads of cash. What do you do? I gave him some reading material on the Arsenal teams of old, so he can read into what makes Arsenal the club it is and he can learn about some other fantastic players we have had. We have quite the history! Louis is a bright, enthusiastic kid with an excellent upbringing. I was shown his Soccer School report card and it showed he could have a future in the game if he continues to flourish. It was fascinating to hear about his experiences and why he loves Arsenal so much. His mother has made sure he is an ardent Gooner and also that he has the best possible chance to follow his dream. He may or may not make it at Arsenal – he certainly has the talent – but what will be a certainty is his support for the club. He represents the future of the club in one form or another and whether we appreciate it or not, Arsenal do a good job in keeping these young fans on board – ticket prices excluded!